As autonomous weapons become rapidly more lethal, the International Committee of the Red Cross is in a race to develop a legal framework for the use of ‘killer robots’. Netta Goussac, a legal adviser with the ICRC’s Geneva-based arms unit, tells The Strategist that nations need to consider the issue of how much control people have over autonomous weapons—which can select and attack a target without human intervention. An Australian, Goussac previously worked as the principal legal adviser in the Attorney-General’s Department’s Office of International Law. She says the international discussion has to focus on the role of the humans who deploy autonomous weapons. Those sending them onto the battlefield must take all feasible measures to prevent violations of international humanitarian law. These responsibilities cannot be delegated to the device, because only humans are responsible for complying with the law, she says. As the world’s armed forces rely increasingly on technology, artificial intelligence, algorithms and machine learning for military decision-making, judgements must be made about the level of control a human deploying an autonomous weapon has to have in order to meet their legal and ethical responsibilities. That involves examining the person’s ability to stop the weapon, to supervise it, to communicate with it and to predict reliably what it will do in the environment in which it’s being used. Guns and explosives still do the greatest humanitarian harm and the Red Cross applies the same approach to new technologies as it does to them. ‘We ask, what are the real and foreseeable humanitarian consequences of these weapons, and what does the law say about their use? Technology developed to benefit society generally is also driving advances in arms as militaries demonstrate that they favour greater autonomy in weapons systems. They want more precision, faster decision-making and longer range. An autonomous weapon is distinct from a remote-controlled system, such as a drone, in which a human selects and attacks the target using a communication link that gives them constant control and supervision over the deployed system. ‘With autonomous weapon systems, the human designs and programs the system, the human launches the system, but it’s the system that selects and attacks the target’, Goussac says. The more autonomous weapon systems are deployed, the greater the chance that they’ll cause humanitarian risks, she says. With autonomous systems, the human’s decision to use force can be distant in both geography and time. 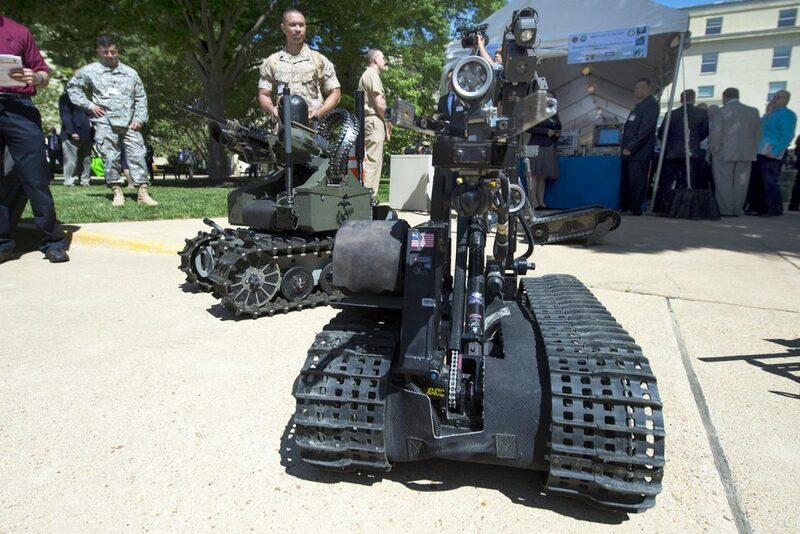 A key question, says Goussac, is whether an autonomous weapon system hinders the human’s ability to stop an attack if the circumstances change. What if, for instance, civilians arrive in a killing zone? In some cases, autonomous systems are used in a very predictable and controlled environment—generally in the air or on the sea—where there’s no likelihood of civilians or ‘non-targetable objects’ being hit. ‘But the more complex the environment, the more mixed it is, the more dynamic it is, the less predictable it is, and the more important it is to have that supervision and ability to control it once the system has been launched’, Goussac says. A range of defensive systems are designed to autonomously select and attack targets in a space where there are no civilian aircraft and when the target is flying at a high velocity (the Iron Dome system is one example). ‘There’s been a certain pre-determinacy here’, Goussac says, ‘but it’s an acceptable level of pre-determinacy’. Brendan Nicholson is defence editor of The Strategist. Image courtesy of the US Department of Defense.